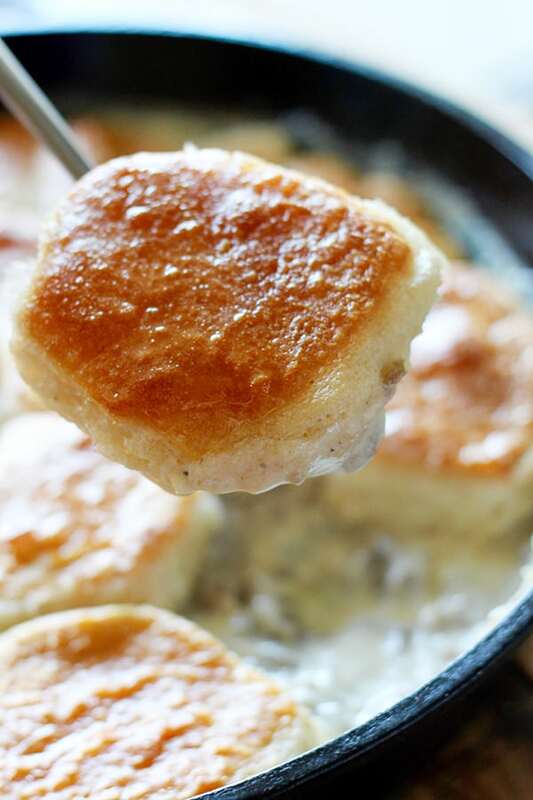 This one-pot biscuit and gravy recipe is so easy and delicious, perfect for a quick hearty breakfast or a delicious breakfast for dinner. 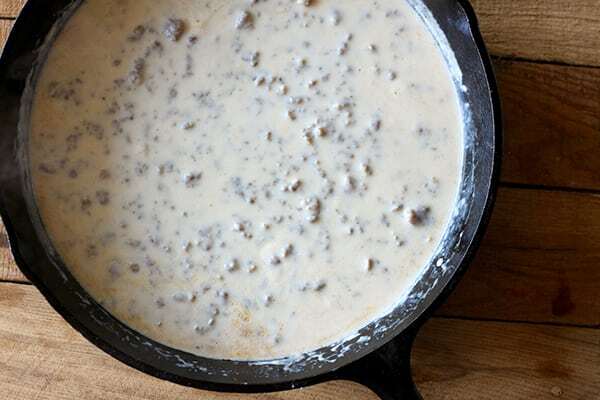 Rich and delicious homemade sausage gravy with flaky biscuits baked right on top. 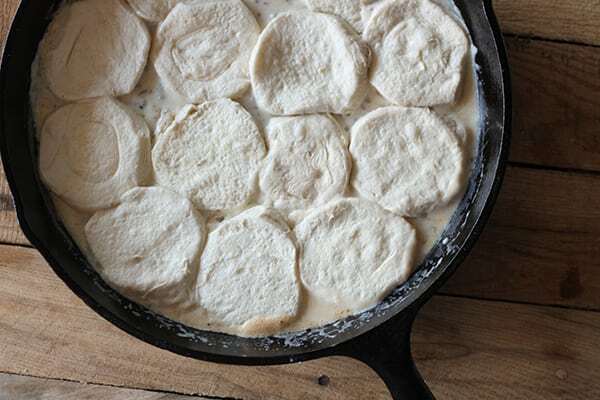 Biscuits and gravy are one of my all-time favorite comfort foods, and when I was making it for my family I realized they would make a perfect one-pot dish. 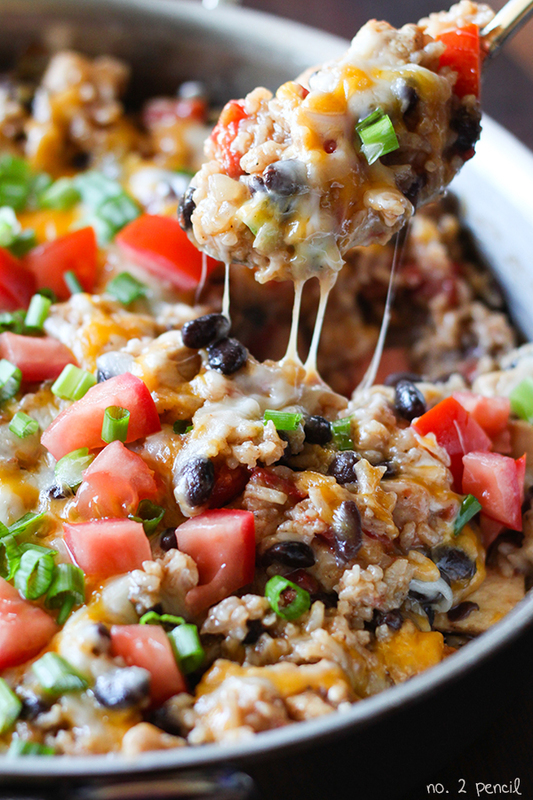 I used a large cast iron pan for this recipe, but you can use any oven safe skillet or pot. 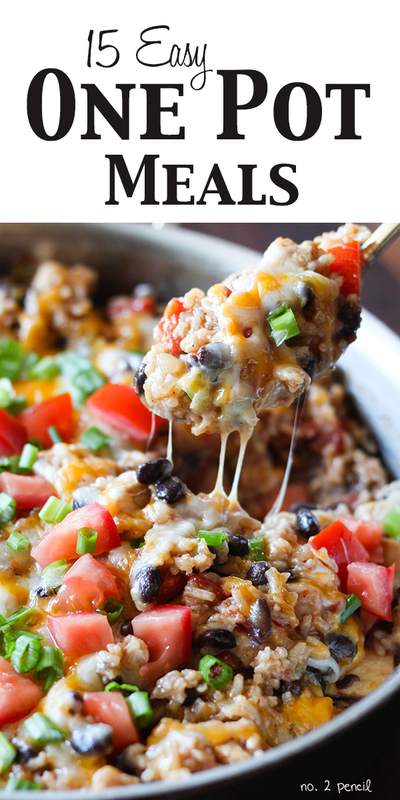 To keep this a truly one-pot meal, I use refrigerated biscuit dough in this recipe. Make sure to buy the kind with flaky layers. You can see more of my breakfast recipes here and all of my one-pot recipe here. Start by browning the breakfast sausage. 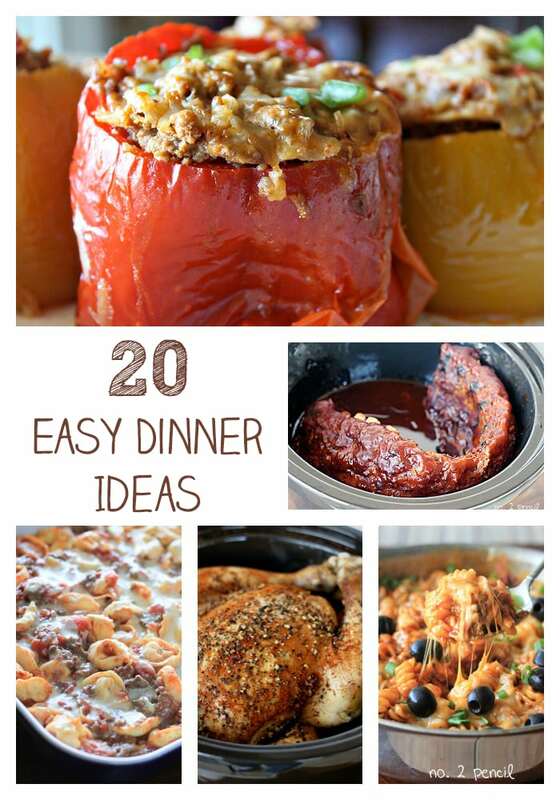 I like to use Jimmy Dean Regular Pork sausage you can buy buy in a one pound chub. It does not have a lot of excess fat, so in order to start the gravy I add a tablespoon of butter to the pan before sprinkling in the flour. This helps cook out the floury taste. Continue cooking the sausage 1-2 minutes after adding the butter and flour, then stream in warm whole milk whisking as you pour. Bring to a simmer and stir again. Gravy will still be on the thin side, but will continue to thicken in the oven as the biscuits cook. Remove from heat and grab the container of biscuit dough. Make sure you have the flaky layer biscuits because we are going to divide each biscuit in half along the layers. Working quickly, lay biscuit halves right on top of gravy. Bake in oven for about 15 minutes, or until biscuits are golden brown. 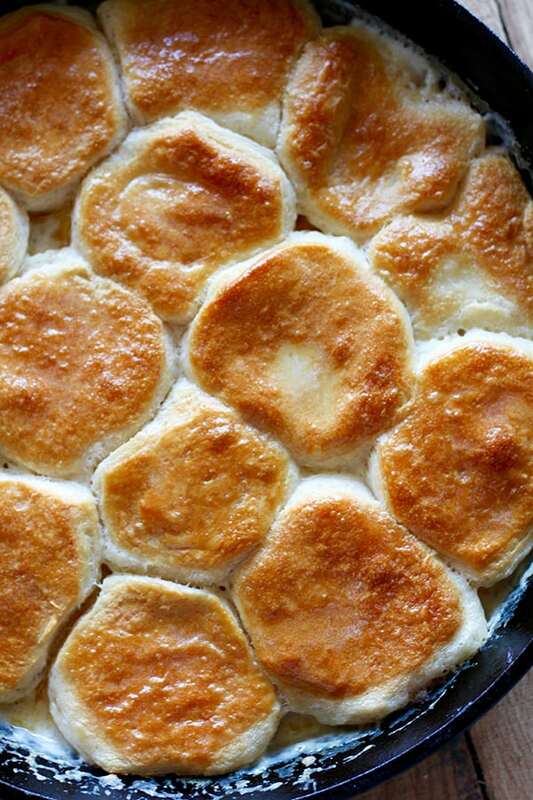 For a little extra glisten, brush hot biscuits with melted butter. 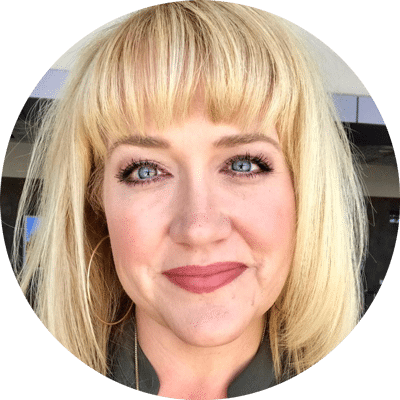 In a 12 inch cast iron skillet or oven safe pan, cook breakfast sausage over medium high heat, breaking up sausage with a wooden spoon as it cooks. 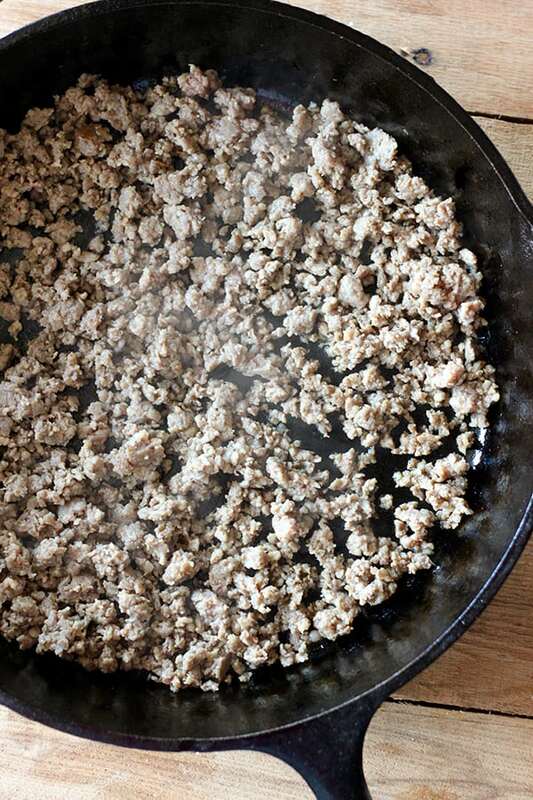 Once sausage is cooked through, melt one tablespoon of butter in pan and sprinkle in flour. Stir sausage and flour mixture for 1-2 minutes. Slowly stream in warm whole milk, whisking as you pour. Let mixture come to a simmer and give a final stir. Gravy will continue to thicken in the oven. Divide biscuits in half by separating layers. Place on top of gravy and bake until biscuits are golden brown, about 15-17 minutes. Remove from oven and brush biscuits with melted butter.